While looking at this weeks parasha, I began to wonder: could there be a connection between the name Zevulun זבולון and zevel זבל - garbage? וַתֹּאמֶר לֵאָה, זְבָדַנִי אֱלֹהִים אֹתִי זֵבֶד טוֹב--הַפַּעַם יִזְבְּלֵנִי אִישִׁי, כִּי-יָלַדְתִּי לוֹ שִׁשָּׁה בָנִים; וַתִּקְרָא אֶת-שְׁמוֹ, זְבֻלוּן. Leah said, "God has given me a choice gift; this time my husband yizbleni, for I have born him six son" So she named him Zevulun. What is the meaning of יזבלני yizbleni? All of the traditional commentaries I could find - Onkelos, Rav Saadia Gaon, Rashi, Ibn Ezra and more - all say the root זבל means "to dwell", and therefore the verse means "my husband will dwell with me". Klein also offers this etymology. But this article by Prof. Moshe Held gave me new insight into the subject. He writes that the Akkadian word zabalu means "to carry up, lift". But scholars such as Driver rejected a connection between זבל and zabalu. Held points out, however, that this was before the discovery of Ugaritic, a language closely related to Hebrew. In Ugaritic, zbl has the meaning of "lift up", and the word for "prince" is zbl - which is parallel to the Hebrew nasi נשיא, whose root - נשא - also means "to lift up". Therefore, Held translates the verse as "my husband will exalt/elevate me" - and the JPS and Daat Mikra follow him. Where did the explanation of זבל as "to dwell" come from? Kaddari writes that this was from an association between zvul and the word bayit (house) in the phrase בית זבול - beit zvul, as found in Malachim I 8:13. But now, this can be better translated as "stately house". The identification of זבל with "lift up" makes even more sense when we realize, as Held points out, that the root סבל has the same meaning. In fact, even Klein translates סבל as "to bear a load, carry a burden", and connects it to the Akkadian zabalu. Just as the English word "suffer" can mean both "to tolerate" and "to feel pain", so to does the Hebrew root סבל have both meanings. From it we get savlanut סבלנות - patience and sovlanut סובלנות - tolerance, as well as sevel סבל - suffering, pain. Instead of translating it as "I will free you from the labors (sivlot) of Egypt" it says God will free them from their "tolerance of Egypt". The Jews had begun to accept and tolerate their slavery in Egypt - they needed to no longer "suffer" this state in order to truly end their suffering. And what of zevel - dung, manure? 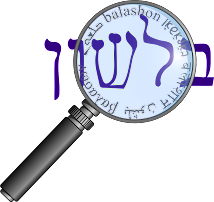 It does not appear in the Tanach (although Tur-Sinai tries to connect it to Tehilim 49:15) and begins to appear in Rabbinic Hebrew. Jastrow ties it to the Assyrian (Akkadian) zabalu, meaning "to heap up", and says it therefore means "foliage piled up for forming manure". So while Zevulun's name has a positive meaning, and zevel is less pleasant (as is sevel), they both seem to have a common origin - "to lift up".